I had always wanted to try out Brooklyn Tweed's patterns and yarn, and when I saw a call for test knitters for their Winter '19 collection, I jumped at the chance. This test knit was a bit of a challenge, but I'm glad for it as I tend to knit very simple patterns. The cables took me a while to get used to and unfortunately, Loft kept breaking on me at very stressful moments (i.e., mid-bind off). This yarn is quite expensive so I was a little surprised. I was hoping with blocking the yarn would toughen up, and it feels like it did. The fabric got much softer but also actually felt sturdier. I wish I had knit one size down -- it's a bit wide on me. Lesson learned (for the 500th time): block your swatch. I made a couple of modifications to the sweater. I only seamed the sides down to the start of the ribbing. I also chose not to sew the turtleneck down, though I may end up doing that. I bound off the turtleneck using Jeny's stretchy bind off and it's not quite as neat-looking as I would like. Another milestone reached this week is that I successfully defended my dissertation prospectus :) I am now officially a PhD candidate, not just a student. The (Adult) Flurries Hat is now live on Ravelry! (Not to be confused with my free, baby hat knitting pattern here!) I had my roommate Justine stand in front of my favorite brick wall near our apartment and model it for me. 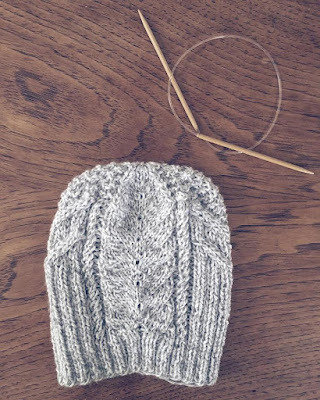 The hat is a super quick knit! It uses bulky yarn in two colors and comes in 3 sizes. It's also very easy to modify the size to whatever your specific measurements might be. The pattern is available both on Ravelry and in my Etsy store. If you have any questions let me know! The photo above is my friend Esra modeling the hat I knit for her as her Secret Santa. I knit a similar one for my mom (pictured below), but used one of those faux-fur pompoms instead. I also knit up some last minute ornaments. The first is a knit cactus. I used this pattern and picked up the felt for the flowers and tiny pots at Michaels. I used to use old cereal boxes as cardboard for those cut out pompom forms. I would always lose them after each use and have to remake them every time. This definitely makes things a lot easier now. I got like 6 of these sheep done in under an hour. I created my own pattern for the moss stitch hat above. I really liked the way it turned out so I decided to add a bit more flair and incorporate two-color moss stitch with some surface decreases. 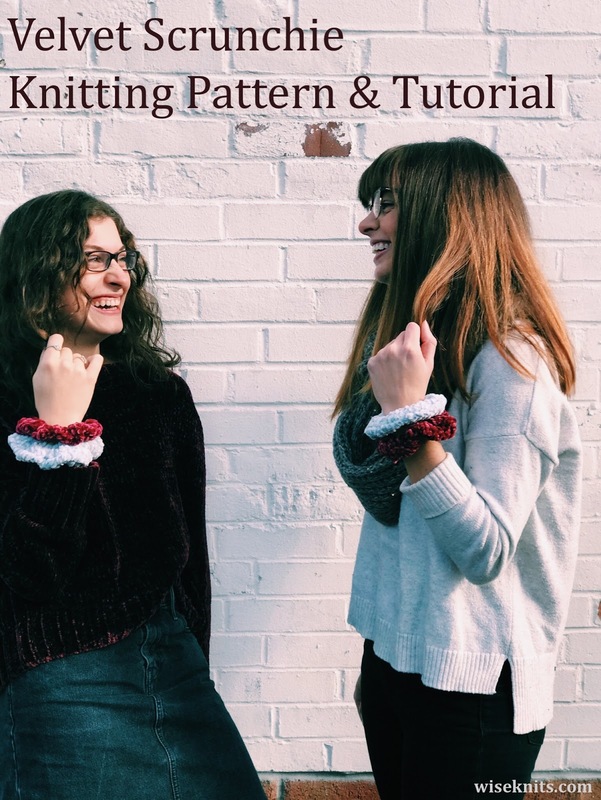 I am currently testing this pattern so be on the lookout for its release on December 30th! My friend Justine is modeling it for me below (it's so great to not have to do the knit modeling myself!). Finally, this January I hope to be finishing/close to finishing two exciting projects. One is a test knit for Brooklyn Tweed that I can't share any photos of yet! The other is my No Frills Sweater. It took me a couple of tries but I think I found the alpaca/mohair combination that gives me the rich red/orange color I've been looking for. It's the softest and very relaxing to knit. Did you have a lot of Christmas knitting to get done? Are you excited for New Year knits?? Let me know in the comments! 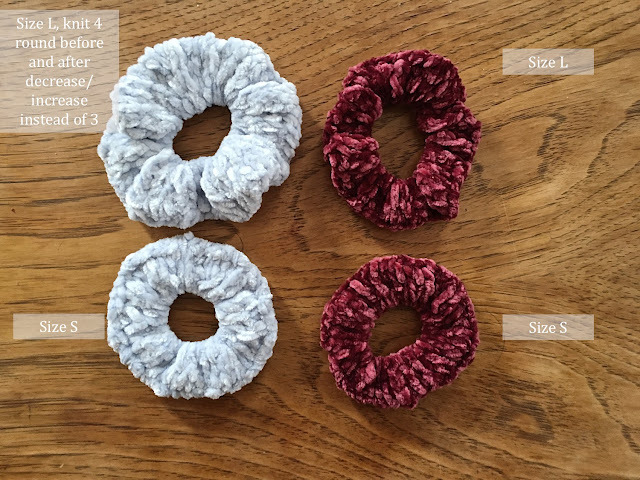 You may have seen some very cute velvet crochet scrunchies on instagram using Bernat's new Velvet yarn. While I'll admit crochet makes a little more sense for this project, I thought I'd attempt a knit version for those of us who more often reach for knitting needles than a crochet hook. These scrunchies are made by knitting a wide ring in the round, then whip stitching the two ends together around a ponytail holder to make a hollow tube. Bernat Velvet breaks rather easily so handle your scrunchie with some care (don't stretch it too much!). I used the magic loop method, though I imagine a shorter circular needle (16in or 9in) or double pointed needles would work better. I recommend you use a ponytail holder you like. The scrunchies will reduce the stretchiness of your ponytail holder so make sure you have a size that works for you. I've created three sizes: S(M, L). Go up a size if your hair is a little thicker or you need some more stretch. 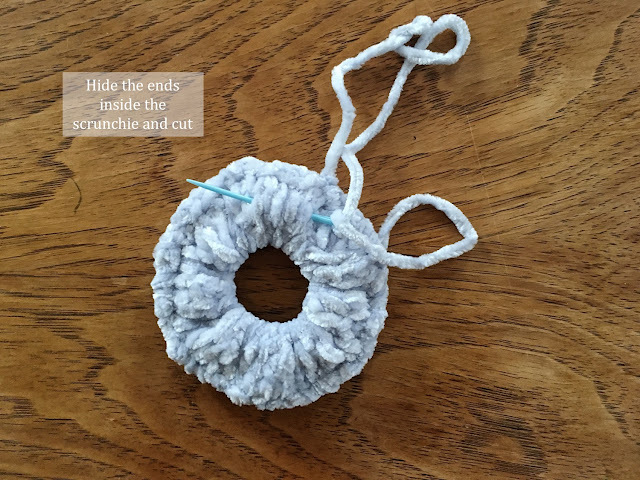 Hide the ends of the yarn inside the scrunchie. The cast on edge can be tucked inside the scrunchie. The sewing end can be threaded through and hidden inside the scrunchie after tying off. There are so many ways to vary this scrunchie! In the top-left corner of photo above, I knit four rows instead of three before and after the increases/decreases. You could also not decrease and increase at all (and save yourself a little time!). Simply knit for eight rounds and then bind off knitwise. The scrunchies would then have less of a doughnut shape and a more ruffled look. Let me know what you think in the comments! Have fun! I'm so happy to now be able to share with you all my first tested and for-sale design: the Prospectus Hat! You can read more about the design process here! I also can't thank my testers enough for working through this pattern with me and catching any mistakes. The pattern is available for $4.99 on Ravelry or in my Etsy shop. 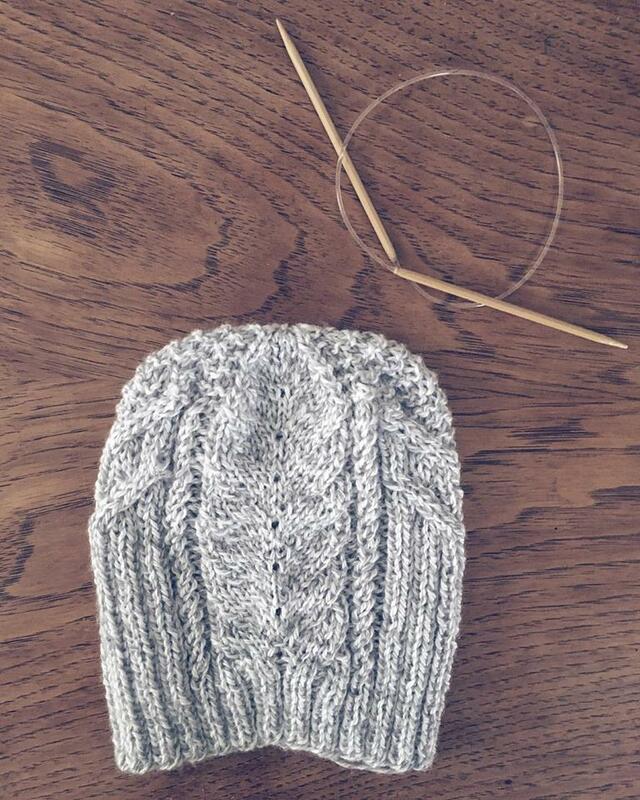 The Prospectus Hat is knit in a DK weight yarn on US Size 3 (4mm) and Size 6 (3.25mm) circular needles. It features three cabe motifs: Mirrored right and left twist cables, a main mock cable, and twisted mini cables. The pattern is charted and includes written instructions. If you have any questions be sure to contact me! I can't wait to see other versions of this hat! I've been designing patterns for a while now, but most have been very simple and didn't take me more than a day or two to put together. I've been looking to challenge myself recently and, in my quest to finally knit myself a hat I want to wear, spent the last couple of weeks putting this hat together. I have to mention here that I was procrastinating quite a bit on my dissertation plan. I've always knit but never really felt like a "serious" designer. I think this hat was a good first step to starting to define myself that way. 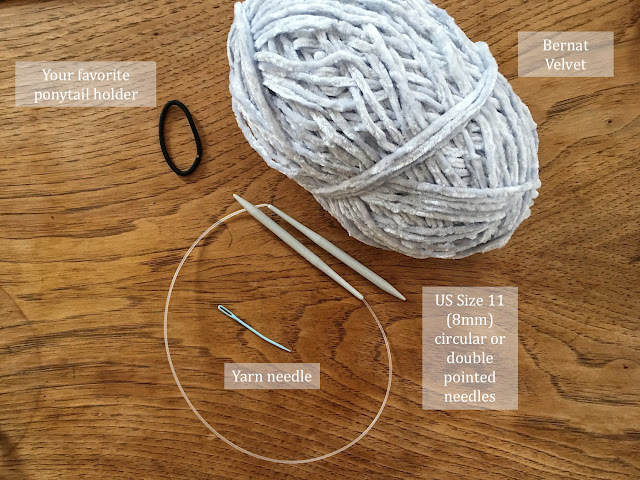 This hat was a challenge in a few respects: fully charting a pattern from scratch, figuring out how many cable repeats I can fit in a certain circumference, and decreasing while maintaining many of the cables all took some extra care. Below are the two versions of the hat I knit. The one of the left was the first pass at figuring out what would look good. For the second one, I added another cable twist and tried to decrease a little more gradually. I had to rip out the one of the right more than a few times to correct decreases and length. Overall, I'm very happy with the way the second one turned out and it was worth the temporary frustrations. This hat is knit in a DK weight yarn on US Size 3 and Size 6 needles. The one on the right is knit in Madelinetosh Tosh DK in Aura -- I spent way more on this yarn than I would normally justify, but I felt this pattern was important enough. I started by fully charting it and then transformed the chart into written instructions. Given how much time and effort this pattern took, I have decided I will sell this pattern rather than offering for free. I am currently in search of test knitters (check out my instagram to see the call!) and hope to be able to offer the pattern for download in a couple months! I'm becoming an aunt for the first time and I am so excited! This weekend was my sister's baby shower and I wanted to give her some of the most classic baby knits. There are so many booties patterns out there! I was going to try a non-seaming one but ended up settling on this classic version from Bernat. There's just something about knit baby booties that is the cutest. I cannot for the life of me remember what pattern I used for this hat. I'm pretty sure I snagged the cast on number from a pattern and then just proceeded to knit until it seemed long enough and then decreased around. I've been waiting to post final pictures of these projects until they were gifted. My ravelry queue is now full of other projects for after she arrives.